Next to stationery I have a love of kitchen linens. My husband calls it an obsession but I prefer to call it a love! I recently discovered The Organic Company which has turned my collection upside down again. Founded by Joy Vasiljev, The Organic Company is a Danish design made from 100% certified organic cotton. Design, quality and respect for people and nature are the foundation of The Organic Company’s values. 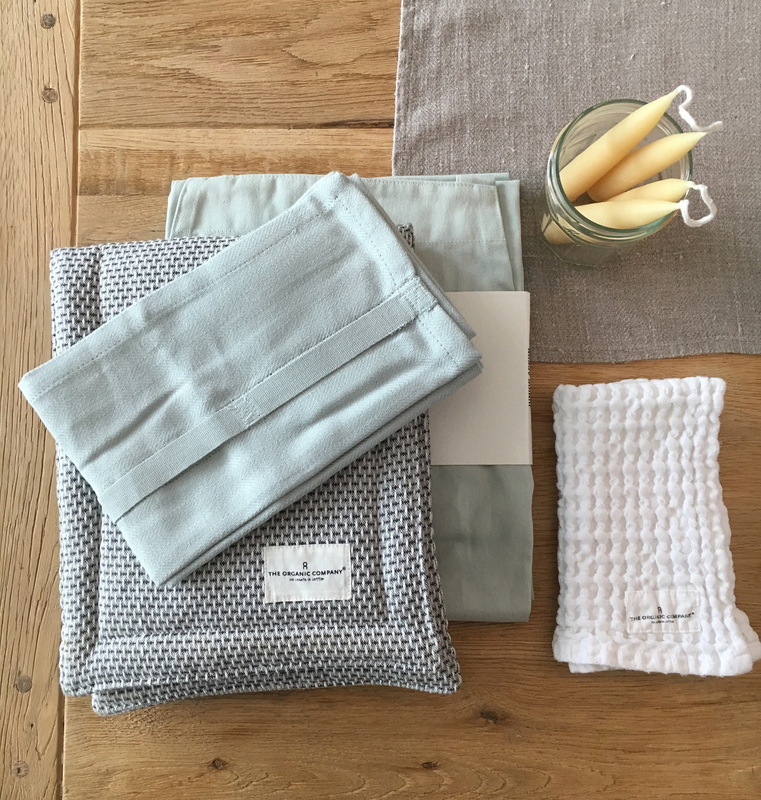 Originally I purchased the kitchen linens, but having seen The Organic Company has expanded their range to include linens for the bathroom (including the most exquisite collection of waffle bathrobes, wash cloths and waffle towels for babies and children) and dining room, I have been stocking up for more rooms in our home. So soft and so managable to wash, they are ideal for every day use. For Christmas I was lucky enough to get the small flat bag popped into my stocking. 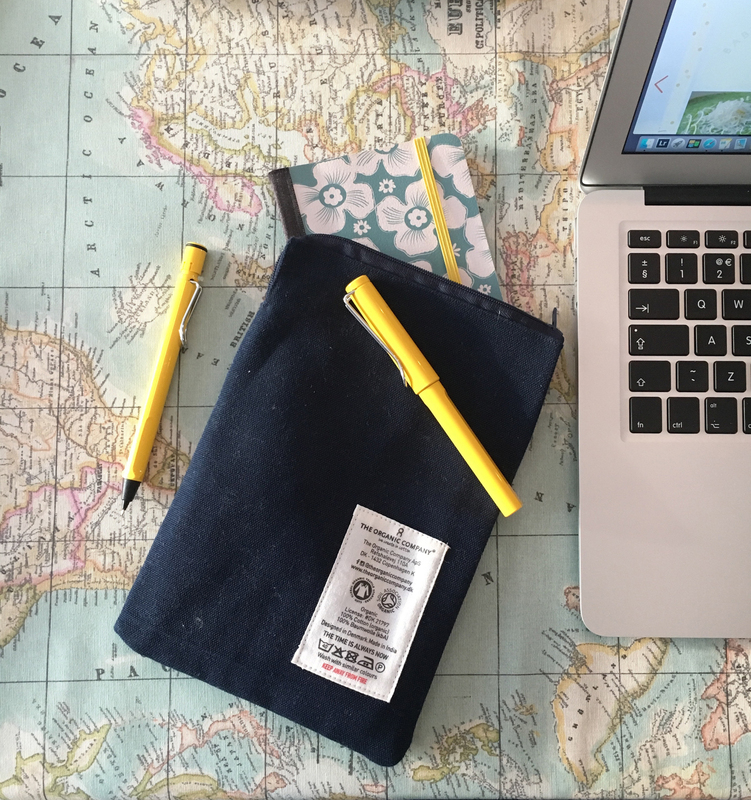 It’s perfect for carrying in my tote holding a little notepad, pencil and my phone and charger. It keeps everything so organised. 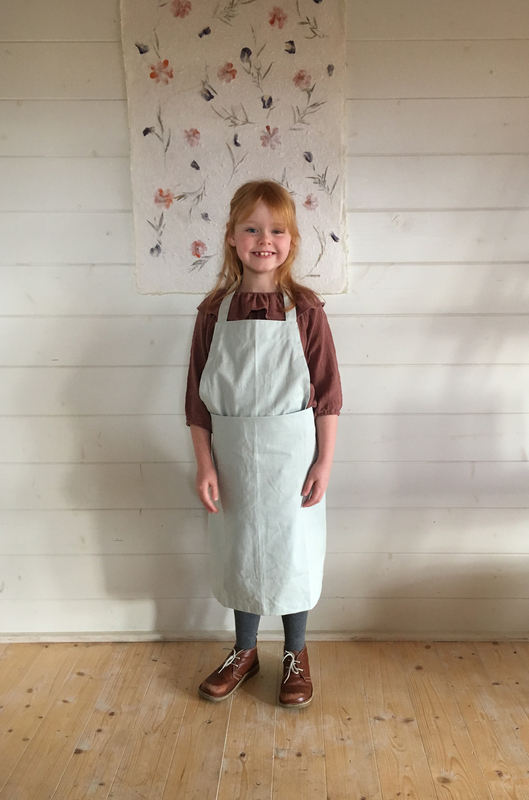 And our collection in the kitchen is growing weekly with the waffle cloths, the oven gloves (oh my goodness they are divine) and each one of our family now has an apron; the girls with their sky blue aprons, and my husband and I enjoy the large creative apron. The colour hues are so fresh and simple and I’ve even purchased a few of their cloths for birthday gifts this year. The Organic Company is currently being sold in Hammerton Stores in Scotland. You can also purchase various products online.